Jensen XT Zirconia - Creatively Blending Art & Science - Culp Dental Technics, Inc.
One of the most translucent, high strength zirconias on the market today, Jensen XT Zirconia produces beautifully life-like restorations. 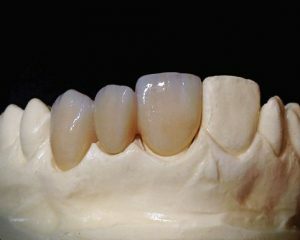 Unmatched translucency and aesthetics for a high strength zirconia (1100 MPa). Consistent and realistic shade matches in both thick (pontic) and thin (crown) areas. Great for frameworks, monolithic, single unit, and bridge restorations.